Berlin, Germany’s largest city, is facing a housing crisis as the city’s population soars as it has become a magnet for European youth and also grapples with the effect of the continent’s migration crisis including asylum seekers from Syria and further afield. In recent times 40,000 new residents per year have been arriving into Berlin. The number this year is expected to be 80,000. That rate of growth has authorities worried. Demonstrations are prevalent as locals protest the soaring rents and changes to the feel of many of Berlin’s suburbs. The challenge for the city’s leaders is how to quickly build new housing, especially for migrants. JLL estimated that only 8,000 housing units were added in 2014. The large shortfall is obvious. Berlin has taken time to develop its economy since reunification in 1989. A lot of the companies thought to take advantage of new development never came leaving the developers out in the cold. The city is undertaking a growth spurt in the form of tech startups coming into Berlin attracted by educated youth and cheap prices. The tech sector is responsible for many of the vacant commercial spaces being taken up. For residents rent control has been a part of life. This however has been relaxed for new apartments where market rents are able to be charged. A duel market has of course emerged between existing apartments and new stock. Demand for older units is very high with queues of prospective tenants lining up for inspections. Residents in some of Berlin’s working class suburbs who have to move are more than likely not able to find anything affordable and are resentful of the new developments with unregulated rents. 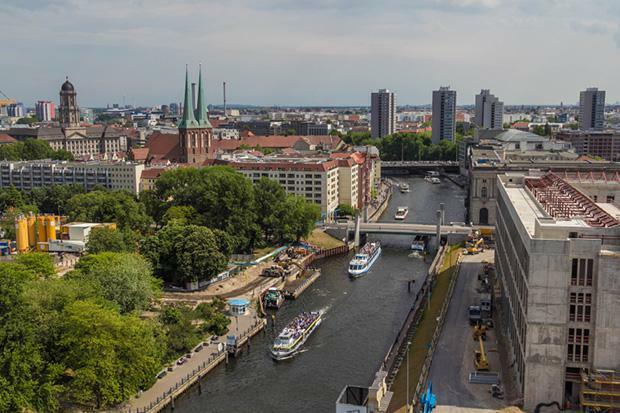 Berlin Tenants Association manager Reiner Wild told thelocal.de that supply issues are a reality. "The homes being built right now are unaffordable for most people already in Berlin and for the people who are moving here," Wild said. "It's a mistake in the supply. "What's really lacking are affordable rental homes. There is a movement in German political circles to improve the supply situation but there are some more innovative solutions also coming through. Anti-gentrification laws have also been passed that in certain parts of the city landlords are prevented from doing high-end renovations that can be used to raise rents. Further caps on rental increases have also been introduced. Berlin is the first German city to cap rent rises on new contracts at 10 percent of the local average. It will an interesting front to watch as Berlin’s population (over 3.5 million) continues to grow. Property developers’ appetite for investment could yet be sorely tested.